Boris Alexandrovich Spornikov was born in Kiev, Ukraine, August 3, 1930. 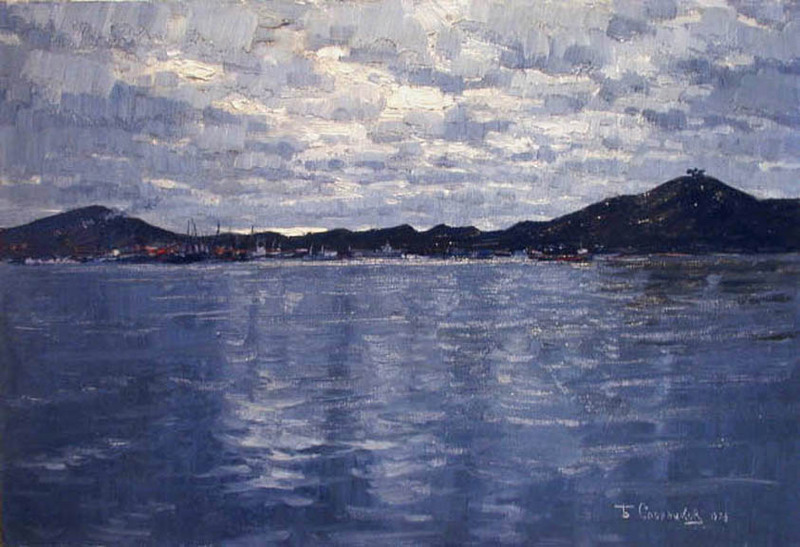 He was eleven years old when he was inspired by a sketchbook to pursue a career as an artist. 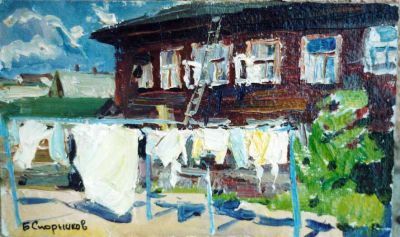 He lived in Kiev during the Nazi occupation and eventually he and his mother were forced to leave Ukraine for Germany but managed to escape from the train. 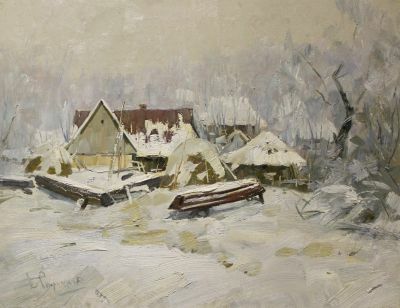 He started classes at the Kiev Art School where he became interested in historical subjects. 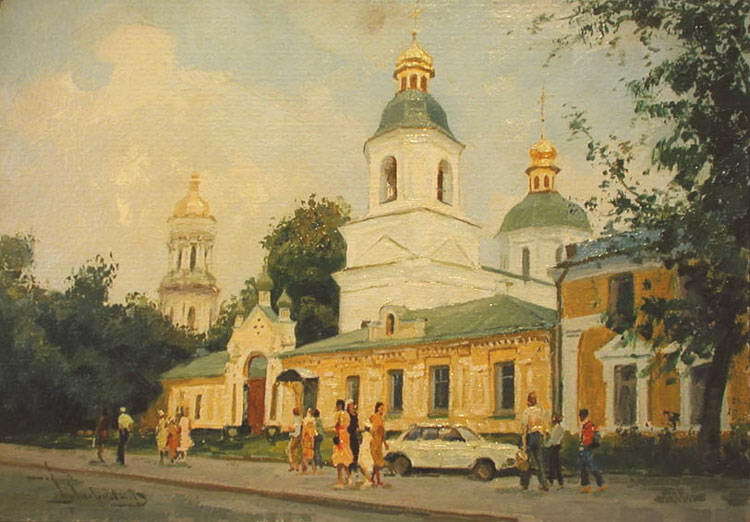 His first critically acclaimed painting, "Defense of Kiev from the Tartars", was finished when he was sixteen. 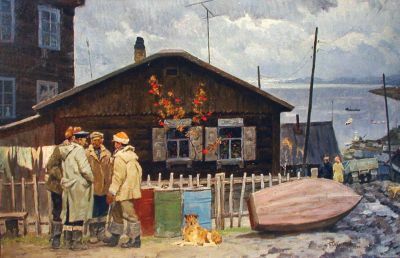 In 1952, the famed Soviet painter, Sergei Grigoriev, rewarded Spornikov with an official assignment to the prestigious Kiev Art Academy. While at the Academy, he enjoyed continued success under Professor Karp Demyanovich Trokhimenko (b. 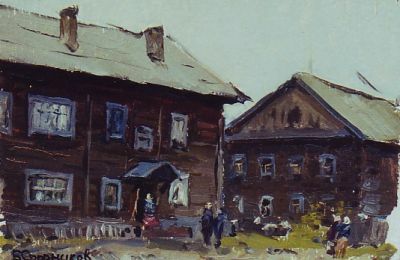 1885). 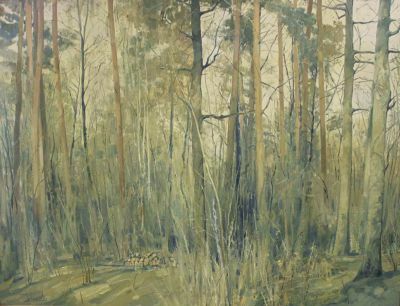 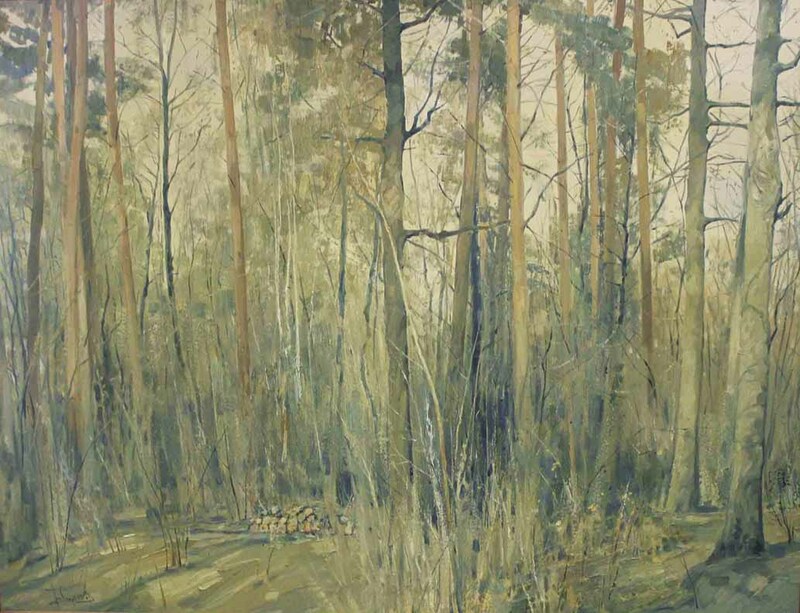 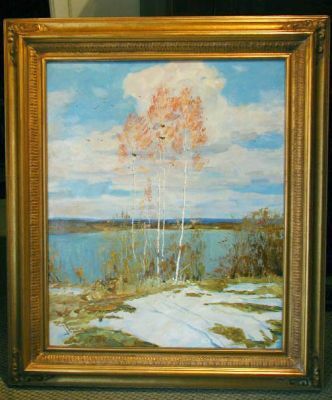 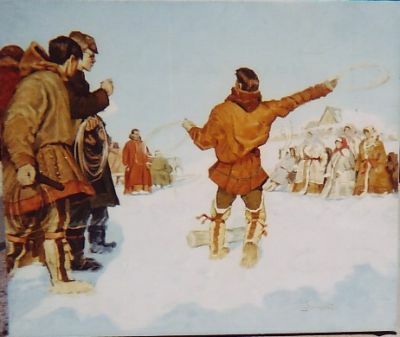 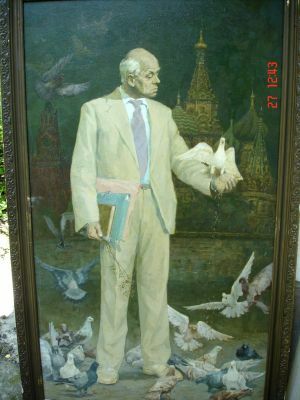 He painted "O Parhomenko" and "Arsenalians" which became his official diploma works. 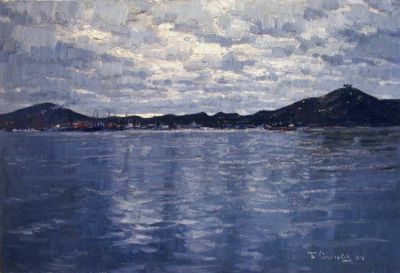 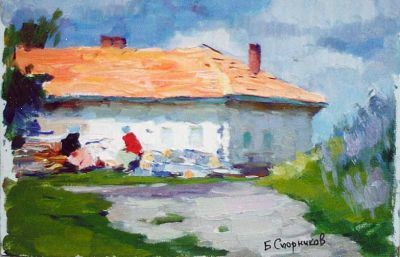 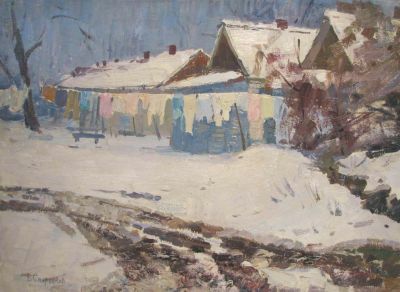 After graduation, Spornikov moved to Dnepropetrovsk, Ukraine where he became a painting teacher at the Dnepropetrovsk Art School. 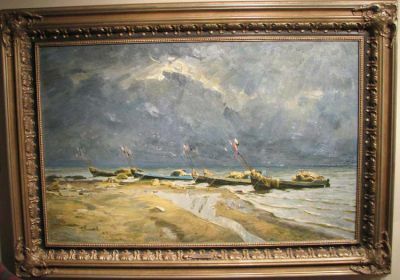 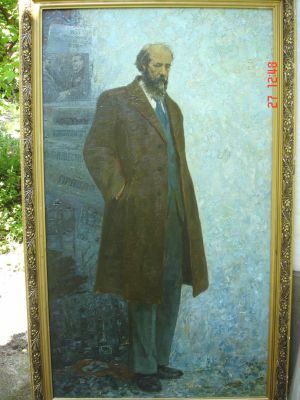 During this period, he produced some of his finest works such as, "Heroes of Tripoli" and "The First Seeds of Communism", both later purchased by the Dnepropetrovsk Museum of Art. 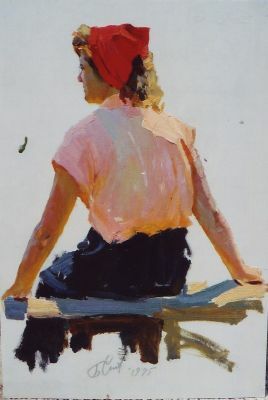 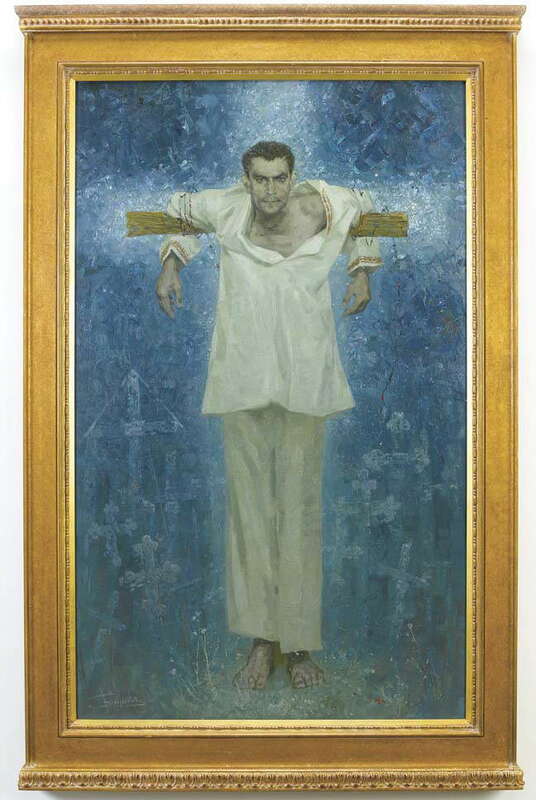 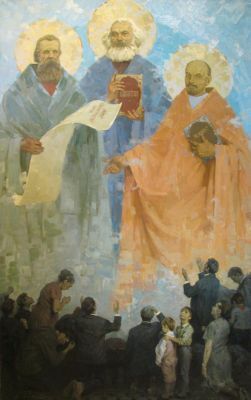 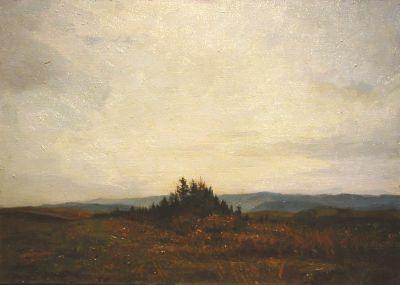 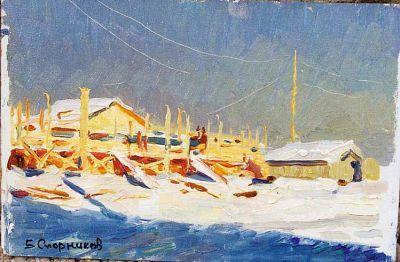 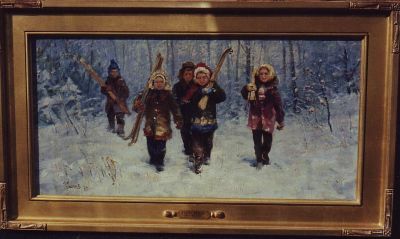 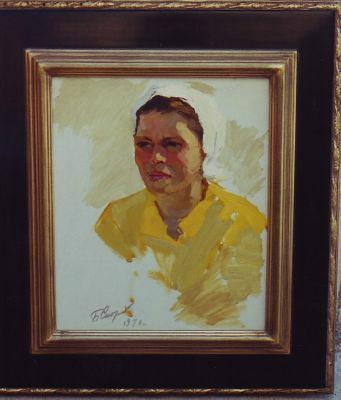 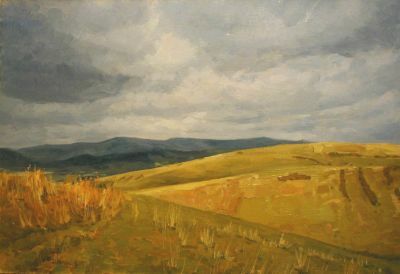 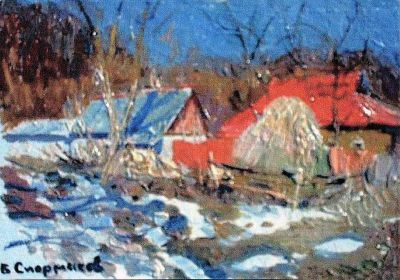 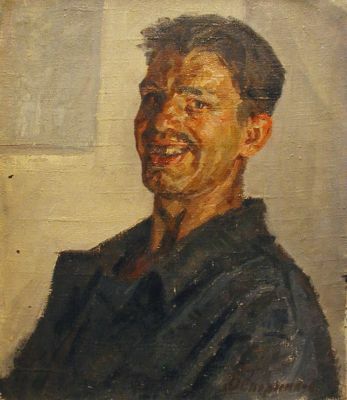 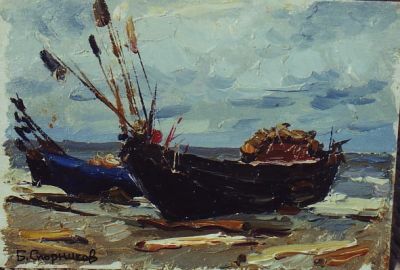 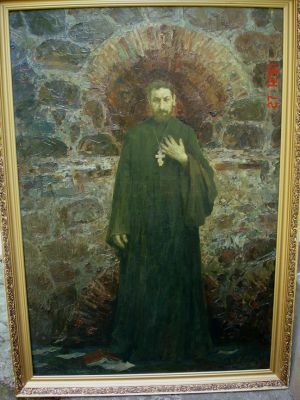 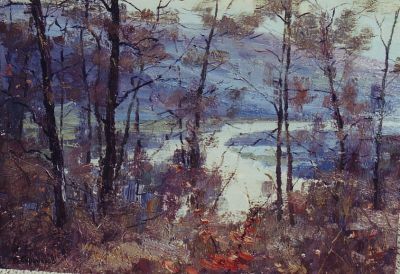 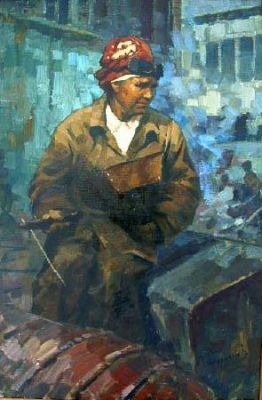 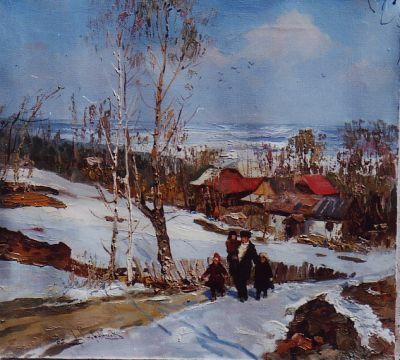 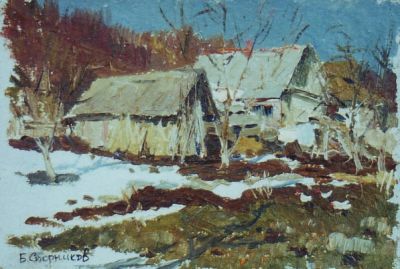 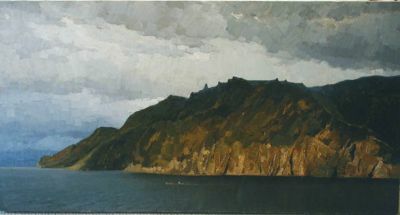 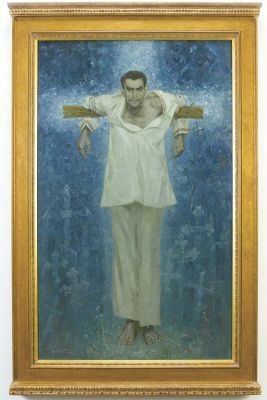 From 1958 to 1969, he lived and painted in Omsk (Siberia). 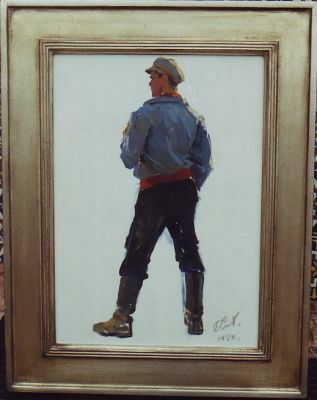 His favorite subjects were core socialist themes, oil workers, collective farm scenes and militaria. 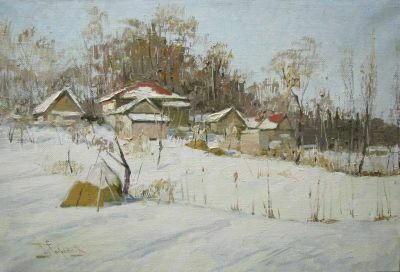 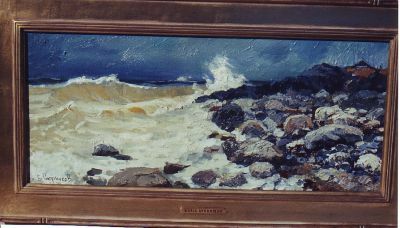 His painting excellence earned him membership in the Council of Artists of the Soviet Union in 1962. He returned to Kiev in 1969, but returned annually to Siberia for drawing studies until his death in 2005. 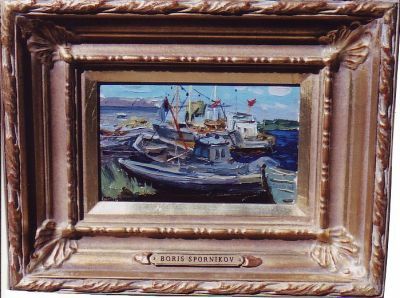 Late in life, Spornikov served as group leader of the Ukrainian Artists’ Union. 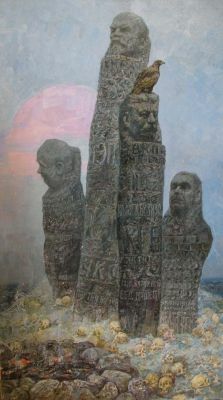 During Soviet times, he participated in more than sixty major exhibitions and after the fall of the Soviet Union, the highly respected artist participated in numerous European shows. 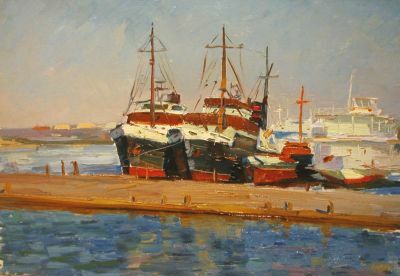 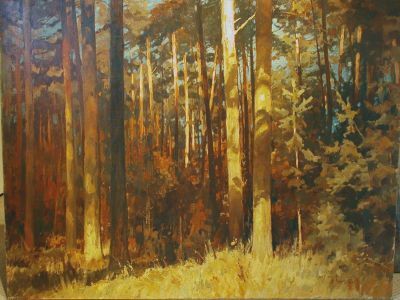 He is listed in Matthew Bown’s, A Dictionary of Twentieth Century Russian and Soviet Painters, 1900-1980’s.